Make your child's room homework friendly with the Ronia black desk. 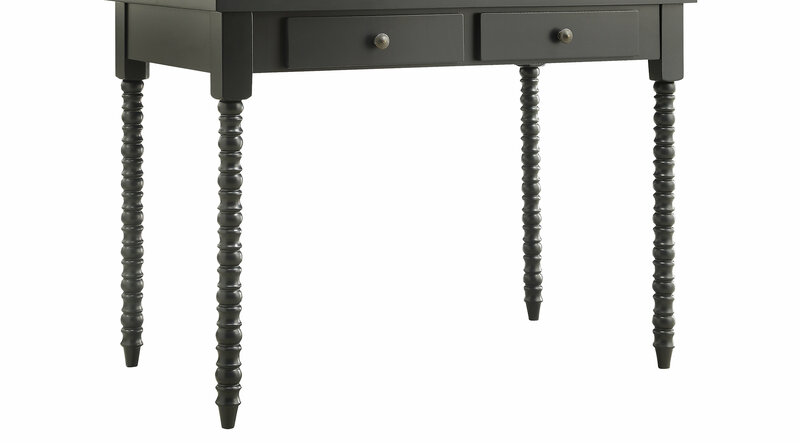 This desk is the perfect combiniation of classical design and modern style. Solid wood helix legs create a sturdy work area while two spacious drawers will help your child get organized. Create a comfortable study environment for your child with the Ronia desk.